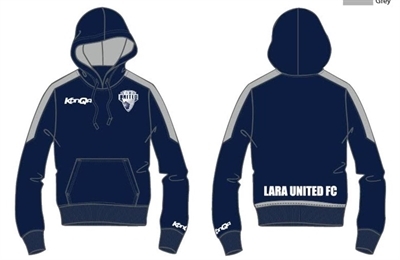 Lara United FC was formerly the Lara Soccer section of the Lara Sporting Club. (Lara SC) was founded in 1999 by a small but dedicated group of parents who wanted somewhere for their kids to play soccer locally. In year one there was one team. Over the years, with many, many hours of work from a few dedicated and committed volunteers, the club has grown to what it is today with 260+ players across a number of miniroo, junior, senior & all abilities teams. 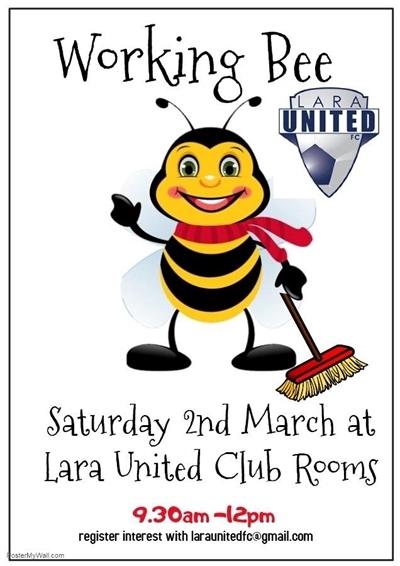 In 2016 Lara United FC Inc was formed as a stand alone club, no longer part of the Lara Sporting Club. Our senior teams compete in both local & state league - our state league women are the highest level team locally after NPL. 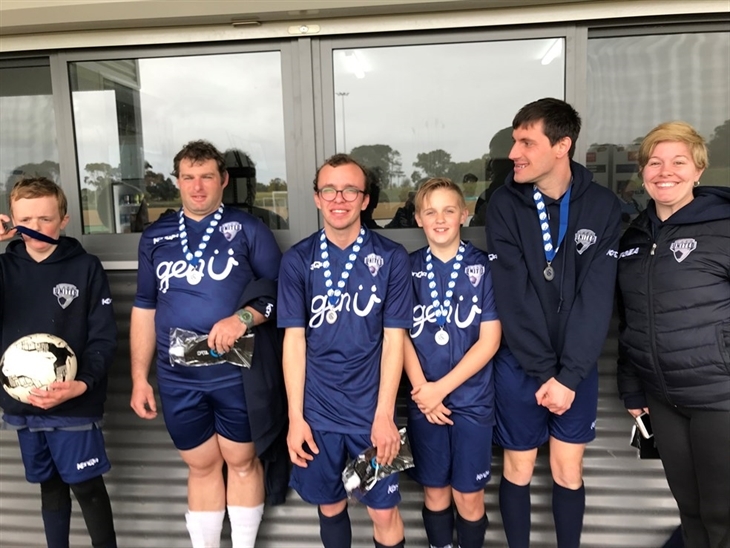 With the continued support of our members Lara United FC aims to continue to grow into the largest and most professionally run local club in the Geelong region. 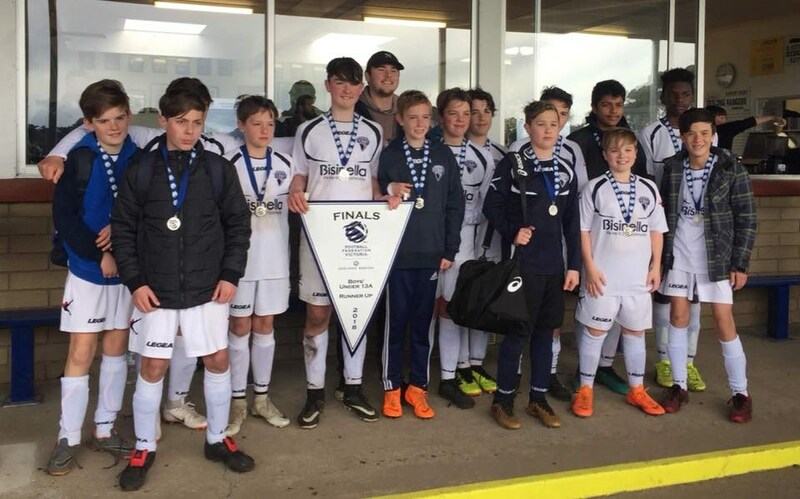 We aim to provide a family friendly club environment that enables all players to get the best out of themselves both on & off the soccer pitch. PLEASE NOTE that due to COGG re-seeding our pitches in preparation for the 2019 season, both pitches are currently out of action. Stay tuned for training venue changes as a result. Due to our change in training pitches - see link below for current times of training and venue. Welcome to the 2019 season. 3 individual league best & fairest winners - U12 boys Joeys - Taryn Harvey, U16 girls - Taylah Eastway, Div 2 Women - Amanda Hey. Fundraising events - Trivia Night, Tastepoint, Supatramp, Junior Movie & Pizza night - thanks to Michelle Harvey & Pam Wilkie-Clark for all of your hard work. New club management system Majestri implemented. This made our life on the committee easier, we hope that members also found that this improved communication between the committee & our members. At our AGM we welcomed our newest life member, former club President & current head women's coach, Tony Horrocks. It takes a great commitment over a long period of time to be awarded with life membership, congratulations Tony & thanks for all you have done to get our club to where it is today. The start of the season should see our upgraded clubroom facility, including female friendly change-rooms, a dedicated social space, purpose built canteen & bar. This will be a game-changer for our club. We are also very excited to be channeling some resources into our miniroos & junior sections with the appointment of Technical Directors for 2019, Ryan Horrocks & Dale Walker - see announcement below. This will be fantastic support for our coaches & players. The missing piece for our club now is lights. Obviously it's challenging to be playing a winter sport without any lights to train under on our own facility. With the growth of women's Aussie Rules football we had no allocation for training on Oval 3 from the Lara Sporting Club Thursday nights for Season 2018 which meant we were paying for training venues for all senior & some junior teams once day light saving ended. We put in two applications for funding for lights in 2018 (both unsuccessful) & have one more opportunity from one of those that extra funds have been announced for early in 2019 - fingers & toes crossed. 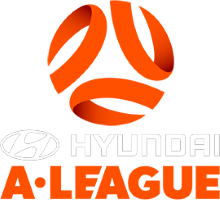 There were over 2,000 applications for this latest funding totaling over 28 million dollars of which 3.8 million in funding was available - it's tough out there but we will keep trying as it's a necessity for our club. 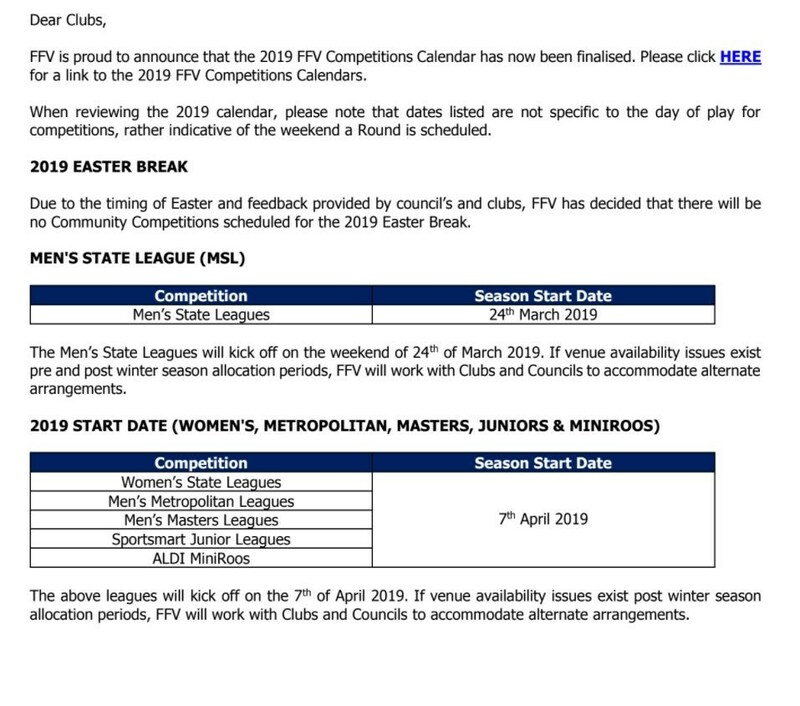 Please see below season dates & finals dates as issued by Football Victoria. 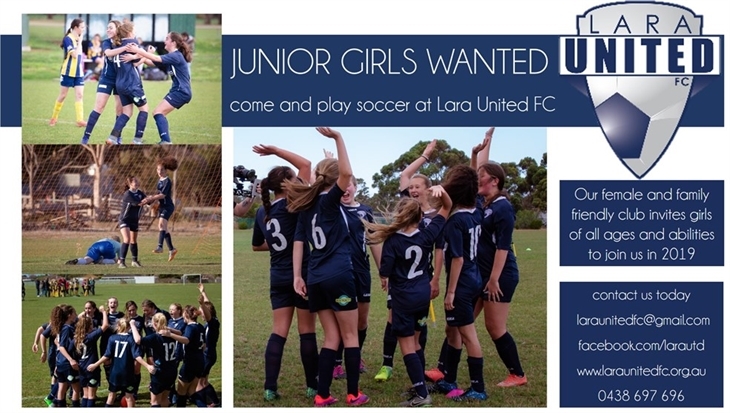 Lara United FC is proud to have joined this 6 month pilot program promoting equality within all sections of sporting clubs - players, coaching & committee. We are fortunate to already have a healthy female participation rate within both our committee & playing groups. We could do with some more female coaches within our ranks. This pilot program is being run by Leisure Networks, overseen by Lara local Fiona Bennett who presented an overview of the project to our new committee in December. 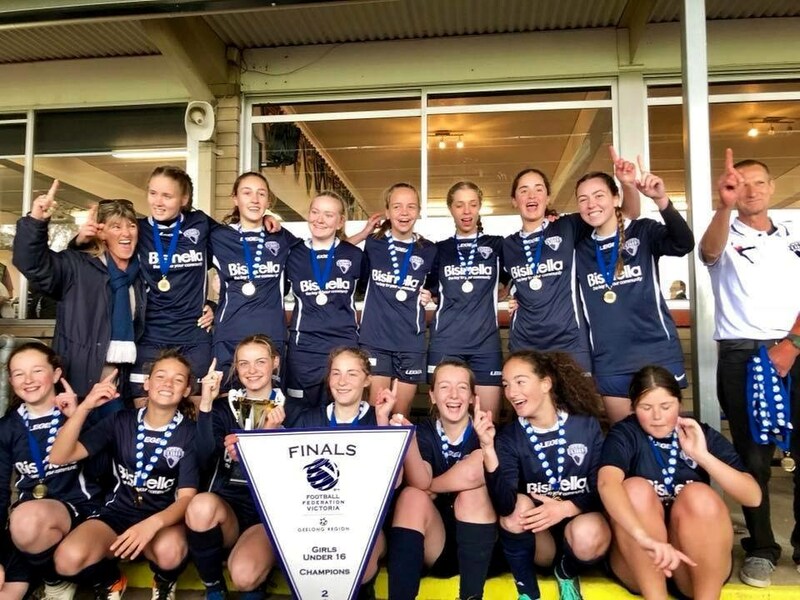 The rationale behind this project is that if respect for females is present within our local sporting clubs, it should naturally follow that respect for females will become normal in all facets of life. As a club we feel that this is an ethos that it is vital we support. Bec Horrocks has put her hand up to be our female champion of change & will attend a workshop in February. Joe Lawrence will be our male champion of change. 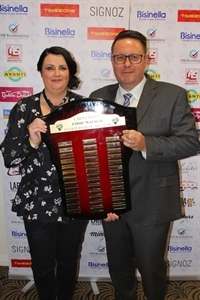 We would like to congratulate our newest Life Member, founding Lara United FC President and Head Women's coach Tony Horrocks. Tony began coaching for Lara Soccer under the Lara Sporting Club banner in 2003. He has captained the senior men's squad, coached juniors and senior women, as well as being coaching coordinator for a number of years before being voted in as President and leading the club in the move from the Lara Sporting Club which saw us become Lara United FC. Currently the Head Coach of our senior women's section, Tony remains one of our staunchest club supporters and we are proud to have him as our sixth Life Member. 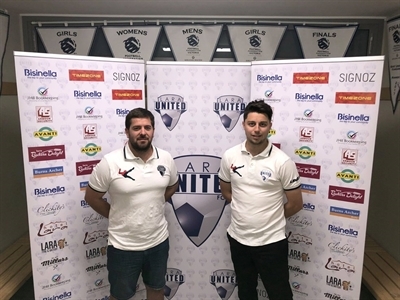 Lara United FC is very excited to announce the appointments of Ryan Horrocks (pictured right below) and Dale Walker (pictured left below) as our very first Technical Directors for our Junior and Miniroos sections for Season 2019. With the growth in the Lara community and increased levels of youth participation, Lara United FC is seeking to create an environment of learning and continuous development that will allow our juniors to learn the fundamental skills for now and the future. We feel that with Ryan and Dale at the helm, our coaches and players are in excellent hands. Ryan Horrocks started playing at Lara in 2002 and commenced coaching in 2011. Since then he has coached Small Sided Football, Junior Girls and Division 2 Women. To date Ryan has coached two teams to premiership wins. Ryan has also been on the Committee between 2013 and 2017 in various roles including Junior Vice President. 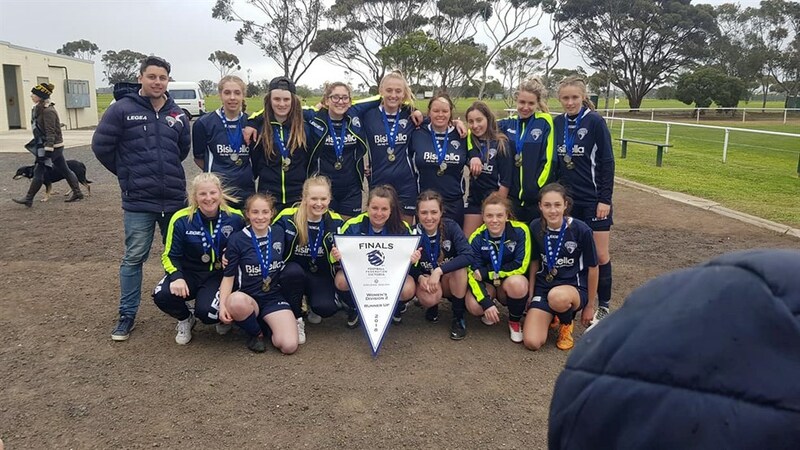 In 2018 he coached the Geelong Under 16 Girls at the Victorian Country Championships and also undertook an FFA/AFC C Licence Coaching Course. Dale (“Choppa”) Walker was born with a passion for the game and has played soccer within the local area and also overseas for over 28 years. Dale has played in many teams including State League in his playing career. 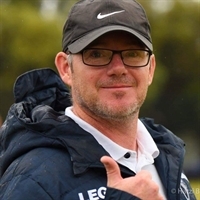 Dale moved into coaching three years ago at the end of his playing career, coaching within the Junior section and most recently he was the Senior Men’s State League Reserves coach. Dale has also undertaken a FFA/AFC C Licence course and is keen to continue contributing to the future stars for Lara United FC. Aiming for a culture of volunteering - club wide! The job of the committee is not to run the club. The job of the committee is to ensure the club is run. This was the season finale All Abilities Gala round held 3 September at Drysdale in arctic conditions, after the presentations. Thanks to senior women Christie Merry & Sam King who were player helpers for other rounds. S & L Maintenance are Little River based & the main maintenance contractor for Vic Roads and the Westgate Bridge. Thanks to Stuart for sponsoring our soccer club, it's greatly appreciated. See John & his team (including friendly talking cockatoos) at Lara Tyre & Battery Service, located at 13 Heales Rd, Lara. John generously offers 10% discount to club members as well as sponsoring our club - see Paul Gryzbek for a discount card. Ray & the team at SignOz have come on board to service all of the club's signage needs at a reduced price. You may have noticed new sponsor signage up at our clubrooms, the visiting team bench & our club & sponsor pull-up banners which all look fantastic. Contact SignOz for your signage needs & support a club sponsor. Located in Grand Lakes Estate, 80 Westlakes Boulevard, Lara Scott & his team provide great coffee & delicious food Wed to Sun (including dinner menu Thurs-Sat). Scott knows all about cold soccer mornings, having provided coffee at our miniroos galas for the last couple of seasons with his mobile coffee van.